THANK YOU to our Bismarck Table Sponsors: Basin Electric Power Cooperative, KX News, Nexus Innovations, Starion Financial! Former first lady, Grace Link, was born and raised near Cartwright, southwest of Williston. At 15, she attended a Farmers Union monthly dance where she met 19-year-old Arthur Link. Five years later, in 1939, they were married. The Links had five sons and one daughter that were raised on their farm in Alexander where Grace was heavily involved as a 4-H leader. 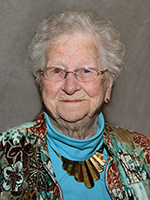 Grace remained a long time supporter of the North Dakota 4-H Foundation and the North Dakota Extension program and, together with Art, was named a 2004 inductee into the North Dakota 4-H Hall of Fame. Grace was very involved in the decision-making process throughout her husband's political career, especially as he served as governor from 1972-1981. She continues to play an active role in many organizations and political functions, too numerous to count, including most recently as Chairperson of Erin Hill-Oban's campaign for state senate. Grace has remained active across North Dakota as an advocate, volunteer, community leader and philanthropist. The Art and Grace Link Endwoment provides long term support to the North Dakota Cowboy Hall of Fame and Grace still sits on the Society for the Preservation of the Former Governors’ Mansion where she has donated countless hours to its preservation and improvement. In 2012 she was presented with the Enduring Legacy Award by the State Historical Society of North Dakota for her contributions to the origination of the North Dakota Heritage Center and later its expansion. Her contributions across the state are felt by many but she still humbly claims that she is "just a mother doing her job." 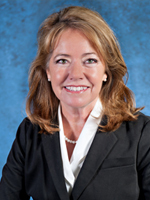 Kathleen Neset is President of Neset Consulting Service, Inc., which provides well site geologic/geo-steering and engineering services to the oil industry since 1980. She received a B.A. in Geology from Brown University and then went to work as a seismologist in Michigan. Neset worked for Core Laboratories in Texas and Wyoming. In 1979 she moved to North Dakota pursuing work as an independent petroleum geologist. She is owner of Neset Farms and formerly worked as a Tioga High School science teacher, a Tioga school board member and a substitute business manager at Tioga High School. Currently she manages wellsite geology and mudlogging crews throughout the Bakken, Kansas, and Northern Rockies region. Recently, Kathleen was awarded the Prairie Business Top 25 Women in Business Award, the Williston Regional Economic Development Corporation Ambassador of the Year Award for 2014, and API Energy Outstanding Achievement Award of 2014 for the Williston Basin Chapter. Kathleen is a member of the, ND State Board of Higher Education, ND SBHE Challenge Fund Committee, ND SBHE Center of Excellence Commission, American Association of Petroleum Geologists, Williston API, Dickinson API, Minot API, North Dakota Petroleum Council Board of Directors and Executive Committee, Lewis & Clark Fort Mandan Foundation, Bismarck State College Petroleum Technology Advisory Committee, University of North Dakota Petroleum Engineering Advisory Committee, Tioga Golf & Country Club board, and St. Thomas Parish Council Secretary. Born and raised a North Dakotan, Roxane Romanick has been a native of Bismarck for the past twenty years. She is a second generation American as three of her four grandparents immigrated to America in the early 1900’s. She was raised on her family’s farm in a rural North Dakota community which both her mom and dad worked at to sustain their family. 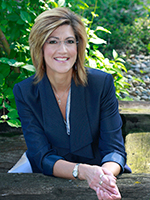 Roxane attended college at the University of North Dakota for both her bachelors and masters degrees in social work. While at UND as an undergraduate, she was a member of the Delta Gamma sorority. 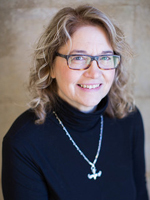 She has spent the majority of her social work career working in schools, special education, and service delivery systems for persons with developmental disabilities. In 1998, prenatal test results delivered the news that the new baby she was going to have in the spring would have a diagnosis of Down syndrome. Roxane has used the experience of being a parent of a child with a disability blended with her professional history, to work as a parent mentor in the North Dakota Early Intervention system and to engage and support other families whose children have Down syndrome. She is currently employed as a contractor to the state Department of Human Services as well as through BECEP’s Birth to 3 Early Intervention system. In addition, she is currently working part-time as the Executive Director for Designer Genes of North Dakota, Inc. which is non-profit, Down syndrome support network. Roxane is married to Bruce who is a judge in the South Central Judicial District. Bruce and Roxane are parents to Nick, who is 23 and Elizabeth who is 15. 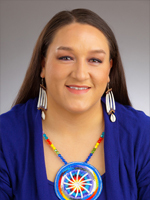 Prairie Rose Seminole is an enrolled tribal member of the Three Affiliated Tribes of North Dakota, descendent of the Sahnish/ Arikara, Northern Cheyenne and Lakota Nations and of German Russian heritage. Growing up in Fargo, ND, Seminole served on the Fargo Human Relations Commission in Fargo from 2001 to 2010, serving as Chairperson from ‘07-‘10. Seminole has held faculty appointments with the Tri-College NEW Leadership Institute since 2005 and is a trainer with Wellstone Action and VoteRunLead, national organizations that train candidates, campaign workers and activists to engage their communities for change. Seminole has been involved with North Dakota state-wide politics since 2006 and leading the North Dakota Native Vote since 2012. Seminole was formerly the Cultural Advisor to the Sanford Health Systems One Care initiative. Currently residing in New Town, ND Seminole is the Strategic Prevention Specialist for the Boys and Girls Club of the Three Affiliated Tribes, serving six communities and over 1600 youth between the ages of 5 and 18. Seminole also serves as an advisory council member to the Federal Reserve Bank of Minneapolis. She writes for the MHA Times and hosts a weekly radio show on KMHA called the Voice that emphasizes community building and prevention efforts. In 2014, Seminole was chosen as a Bush Foundation Native Nation Rebuilder. A program that brings Native Leaders together so they may be instrumental in moving their nations toward realization of their tribes unique goals. 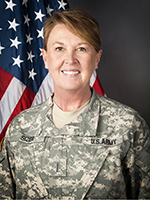 CW5 Sizer began her military career with the North Dakota Army National Guard in 1978 when she enlisted as a Private E-1 with Headquarters and Headquarters Company, 141st Engineer Combat Battalion, Valley City. She served as a Personnel Staff Non-Commissioned Officer and obtained the rank of Staff Sergeant. In 1985 she transferred to Headquarters and Headquarters Detachment, 231st Engineer Battalion, Bismarck, and was promoted to the rank of Warrant Officer serving as a Military Personnel Technician. In 1993 she transferred to the Regional Training Institute, Devils Lake, and served as the Deputy S1 for the Officer Candidate School. In 2000 she transferred to Joint Force Headquarters, Bismarck, where she currently serves as the Command Chief Warrant Officer for the North Dakota Army National Guard. In 2010 she completed a tour in Kosovo serving as Deputy, Joint Visitors Bureau, stationed at Camp Bondsteel. CW5 Sizer has 37 years of military service and 20 years of federal technician service. Her technician positions include Administrative Supply Technician for the 141st Engineer Combat Battalion; Executive Assistant to Adjutants General, Major General Bjerke and Major General Haugen; Family Readiness Specialist; Deputy Director of Employer Support of the Guard and Reserve; Services Team Lead for the Service Member and Family Support; and Sexual Assault Response Coordinator. She currently serves as the Resilience, Risk Reduction, and Suicide Prevention Manager for the Army National Guard. CW5 Sizer is from Rogers, North Dakota and graduated from North Central High School in 1976. She graduated from the University of Mary in 1990 with a double major in Elementary and Special Education, and spent 10 years teaching students with intellectual disabilities at Mandan Senior High and Century High School. In 2014 she obtained her Masters Degree in Counseling through the University of Mary. CW5 Sizer is the daughter of Master Sergeant (Retired) Gordon and Karen Jewett, Valley City; the late Treonne Kramer; and Earl Kramer, Rogers. She has one brother, Robbie Jewett, and one niece, Ashley Mooridian, of Valley City.